We have written about the importance of testing ground and well water before, during and after hydraulic fracturing many times in the past and will more than likely continue to do so for a long time to come. The potential (and real!) dangers posed by the injection of such large quantities of mysterious chemical cocktails deep into the Earth warrants our doing so. 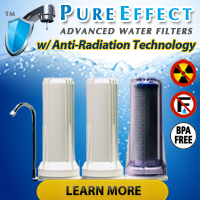 why is the cost so high to test water for fracking contamination? after the recent flooding it only cost $25.00 to see if the well water was safe to drink. is it best to have a local company test the water or should we send it to Penn State or out of state? 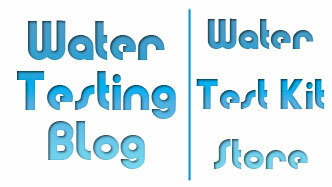 how often after the drilling starts do you recommend water to be tested? Thank you for this question, Terri, and we bet other folks facing the unwanted financial burden of paying for more ground/well water testing than the average homeowner with a well have wondered the exact same thing. In our experience, well water testing that costs roughly $20 to $30 usually includes the following tests: Nitrates/Nitrites and Coliform Bacteria. Some kits and marketed laboratory testing packages may include other tests, but not much more and definitely not nearly the number of tests included in the laboratory testing packages typically used to analyze water that may contain contamination resulting from hydraulic fracturing. From the very beginning companies that used hydraulic fracturing as a means of extracting natural gas from rock and shale formations deep in the Earth have kept the list of ingredients in their fracking fluids out of the public eye. “Chemical additives used in fracturing fluids typically make up less than 1% by weight of the total fluid. They are biocides, surfactants, adjusting viscosity, and emulsifiers. Many are used in household products such as cosmetics, lotions, soaps, detergents, furniture polishes, floor waxes, and paints. Some are also used in food products. A list of the chemicals that have been used was published in a U.S. House of Representatives Report. Some of the chemicals pose no known health hazards, some of the chemicals are known carcinogens, some are toxic, and the health hazards for the rest are unknown. The report does not include the concentration of each chemical used or the amount used. So as you can clearly see, the potential for harm befalling a person exposed to fracking chemicals could certainly clearly exist — even if it may take a while to happen through prolonged exposure to fracking chemicals in the air and/or in their drinking water. With the number of chemicals and ‘other things’ possibly present in fracking fluid, and the mystery surrounding many of those additives true identities, responsible testing laboratories must use a shotgun approach when analyzing samples for the fracking fluid… because they have no solid idea of what exactly to look for. The Best way to Test for Fracking Fluid? Terri mentioned Penn State in her inquiry and at this point we feel the scientists at Penn State may very well have the best idea of what has transpired in that region due to their close proximity and the amount of time and resources that institution has dedicated to tracking the activities of gas drilling companies in the area. If companies intend to begin hydraulic fracturing in your area then you really ought to have the quality of your water tested before, during and after drilling. If companies have already started drilling and you have not, yet, had a qualified water testing lab analyze your water, you really ought to have that testing done right away. Question: When Disinfecting My Well, How Do I Know That I’ve Put Enough Chlorine Bleach In? We may have addressed this matter in the past, but we would rather repeat ourselves a dozen times on a topic like this than have people not properly disinfecting their wells. Most kits for disinfecting a well contain instructions for properly using their contents and we HIGHLY suggest that you follow the darn things — else risk using too little and not getting the job done or adding too much and risk damaging your well equipment. Most kits will recommend maintaining levels of free chlorine much higher than any DPD Reagent Based Water Test Kit can possibly detect without messy dilutions which, if not done carefully, can easily result in flawed free chlorine readings. So… how can a person test for 20, 50 or even 100+ ppm free chlorine? Simple: SenSafe/WaterWorks manufactures a product called High Range Free Chlorine which can detect up to 120 ppm free chlorine in just a few minutes without the user needing to mix chemicals or perform dilutions. If you need to test for even HIGHER levels of free chlorine than 120 ppm, then we suggest you take a look at the Ultra High Range II Free Chlorine Test Strips contained in the Childcare Sanitizer/Disinfectant Water Test Kit. Don’t let the word ‘childcare’ in the name fool you. 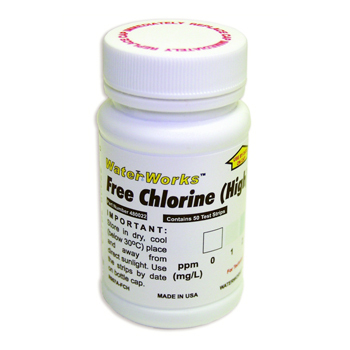 The makers of this ultra high range free chlorine test strip designed it specifically for use in average tap/well water that contains super high levels of free chlorine — up to 2,000 parts per million free chlorine! Detect Up to 2,000 ppm Free Chlorine w/ a Test Strip!